The long-awaited Nokia and Microsoft event is finally upon us. 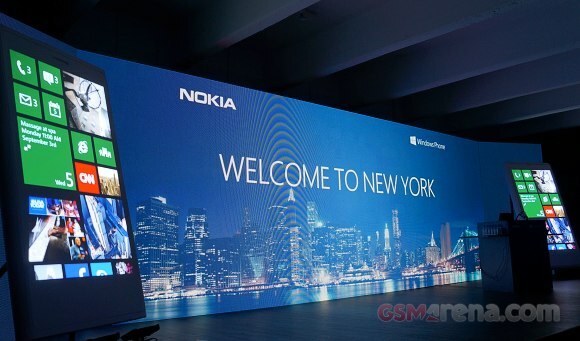 The huge number of leaks over the past few weeks indicate that everyone is eager to see what Nokia's first WP8-powered smartphones look like. The latest version of the Microsoft's Windows Phone platform seems ready to challenge the smartphone duopoly and the troubled Nokia will seek to make best use of it. The Finnish company has great record in hardware design and now that it will finally get a chance to stick a powerful chipset inside, it might finally start to regain some of the lost ground. We shouldn't also forget that the Nokia navigation services are now available to all WP8 smartphone vendors, so Nokia will need to teach its smartphones some new tricks if it is to remain the dominant force in that market. Update: The press conference just concluded, but the video is now available on demand, so you can watch it in case you've missed something. Just keep in mind that you need to have the Silverlight plug-in installed for it to work. Note: Nokia seems to have some trouble with its stream, so you might need to refresh the page a few times until it loads.